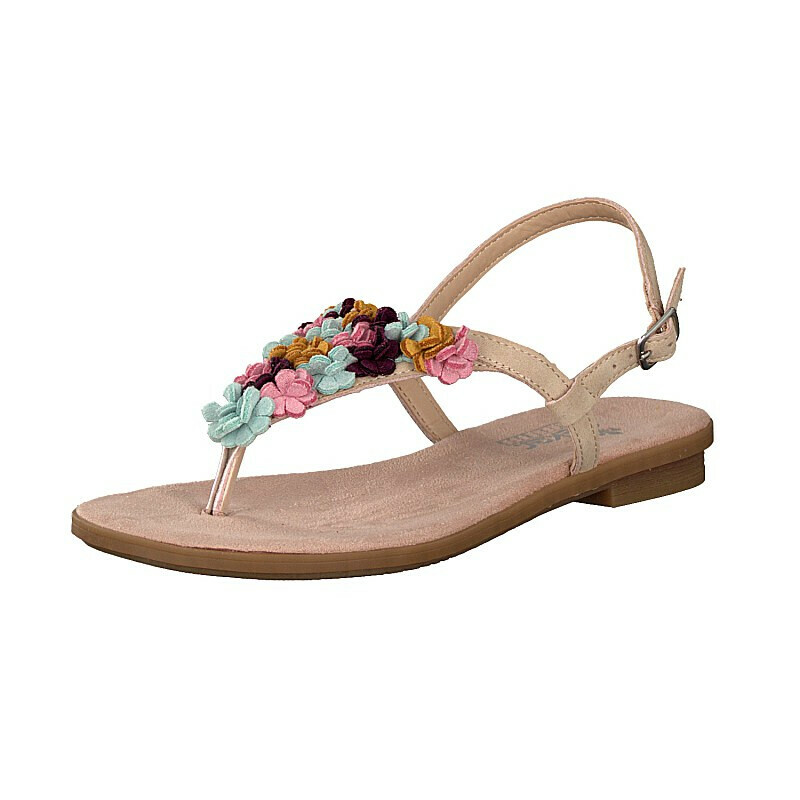 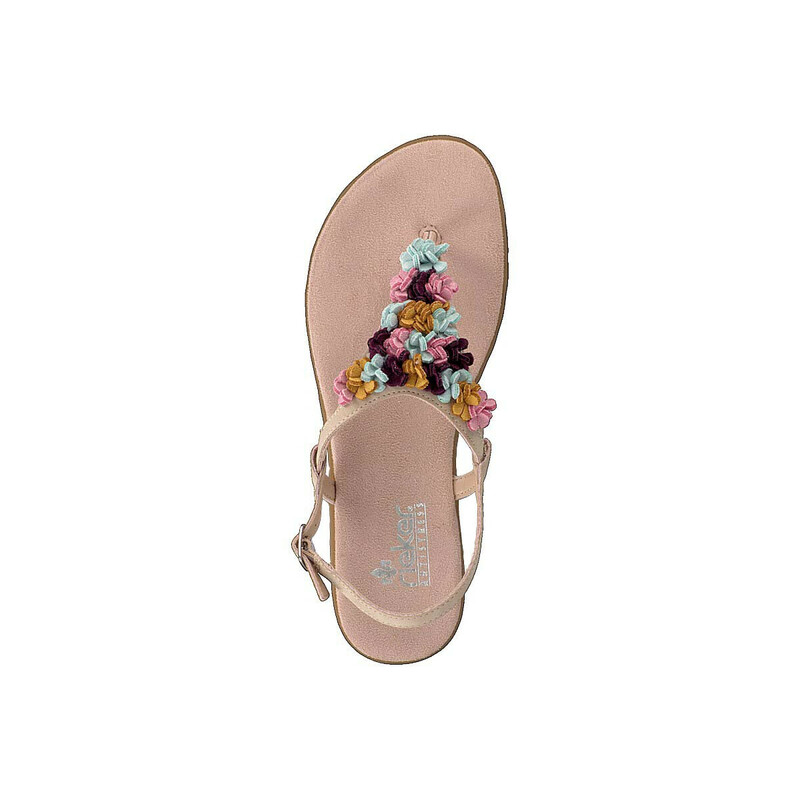 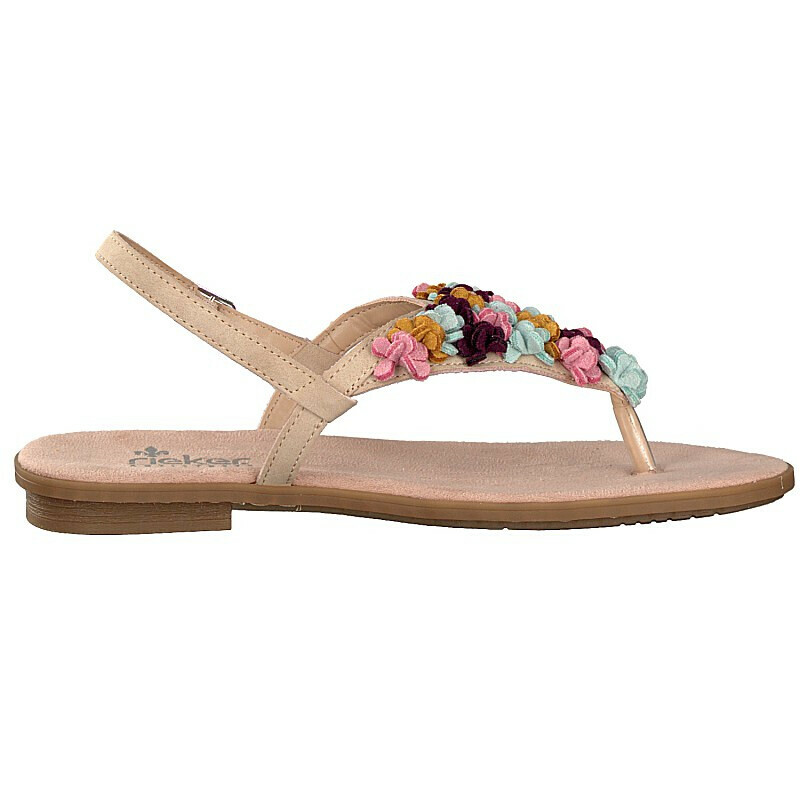 This model from the latest Rieker summer collection is a colourful and very lightweight thong sandal in bohemian style. 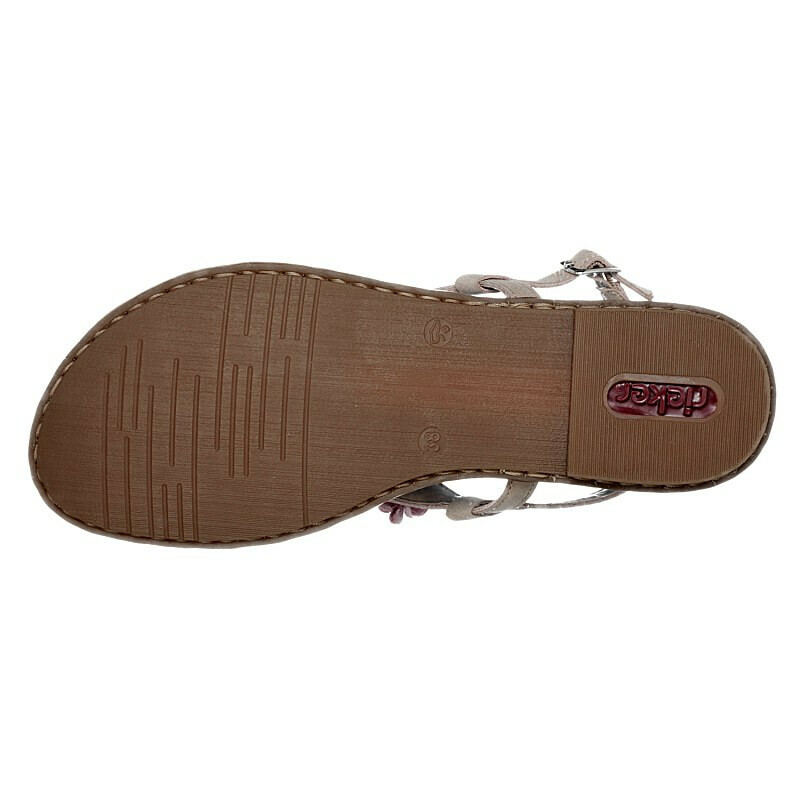 A flat, rubberized outsole with 1 cm block heel and a foot-pampering insole form the basic structure of this sandal. 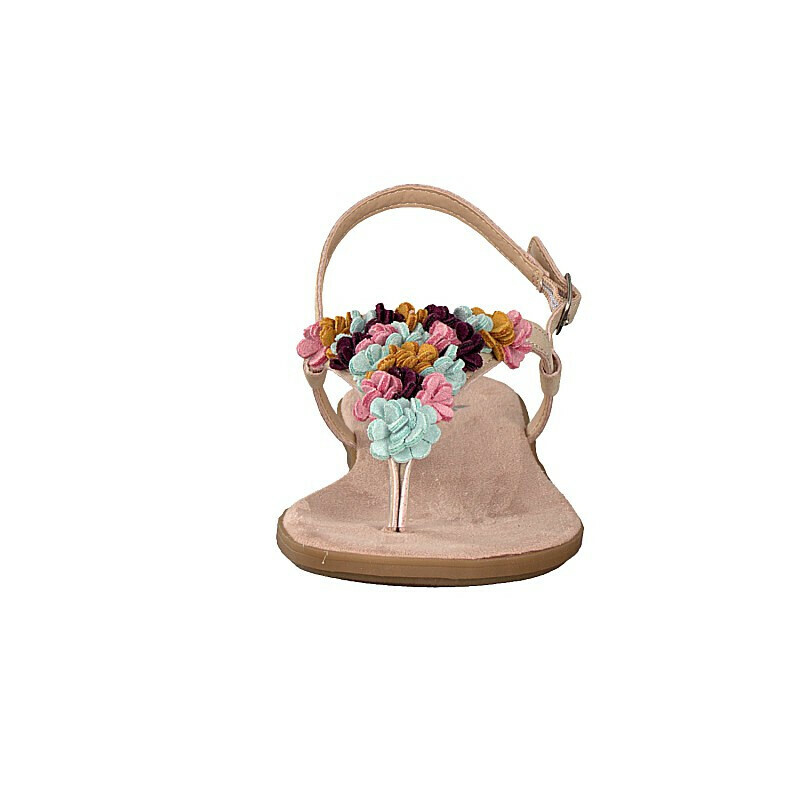 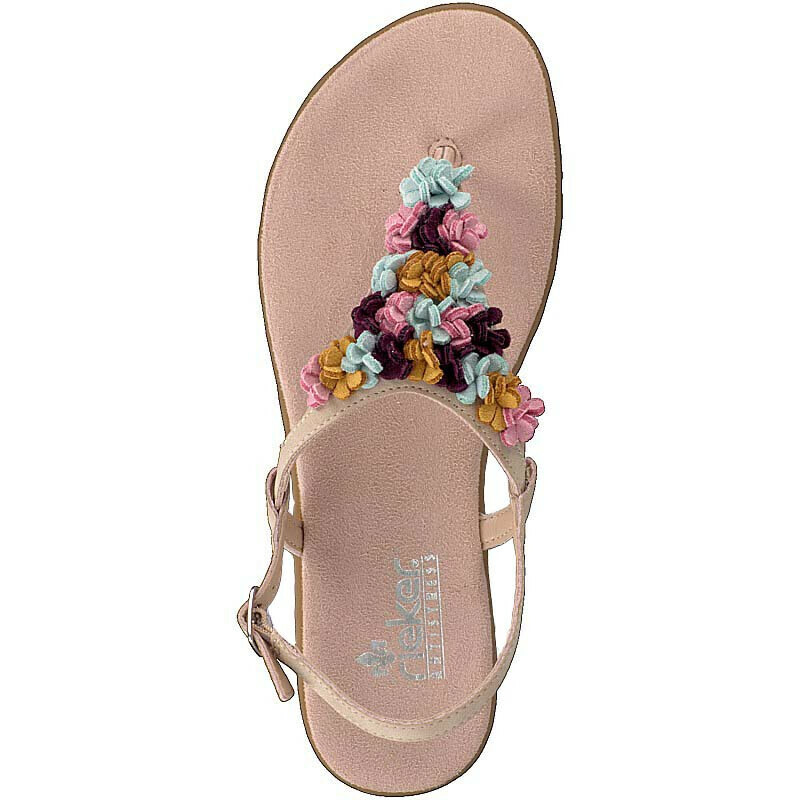 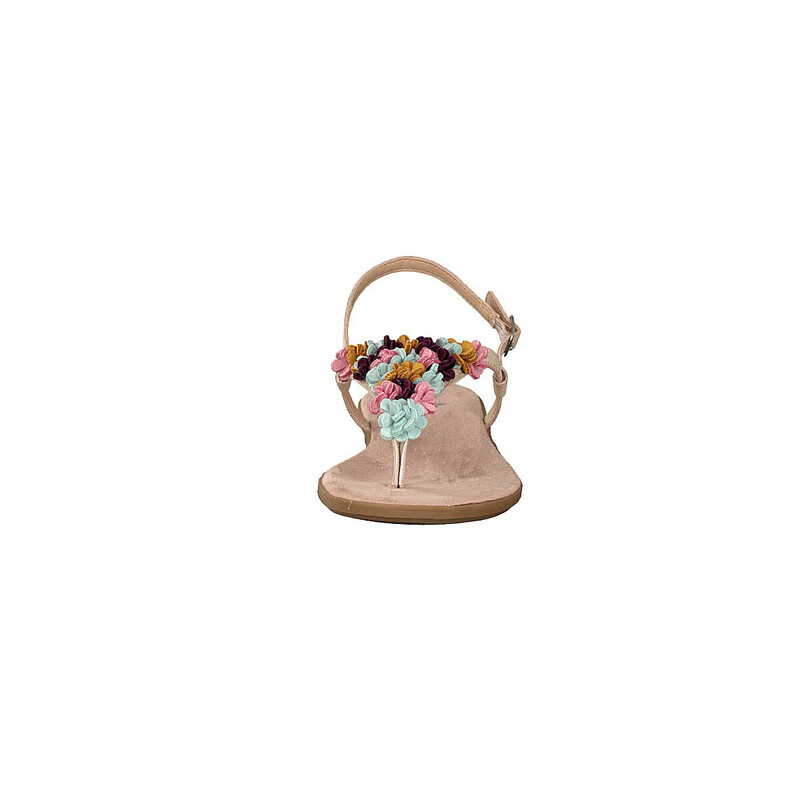 It gets the casual hippie look from the colourful flower decoration on the delicate rose straps. 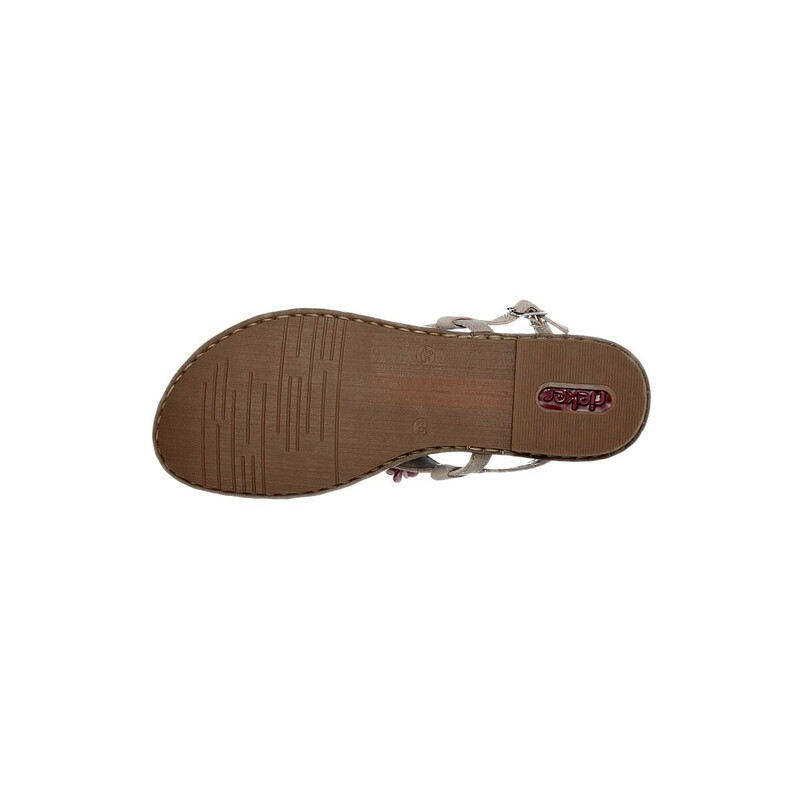 The small, silver-coloured buckle allows an individual adjustment. 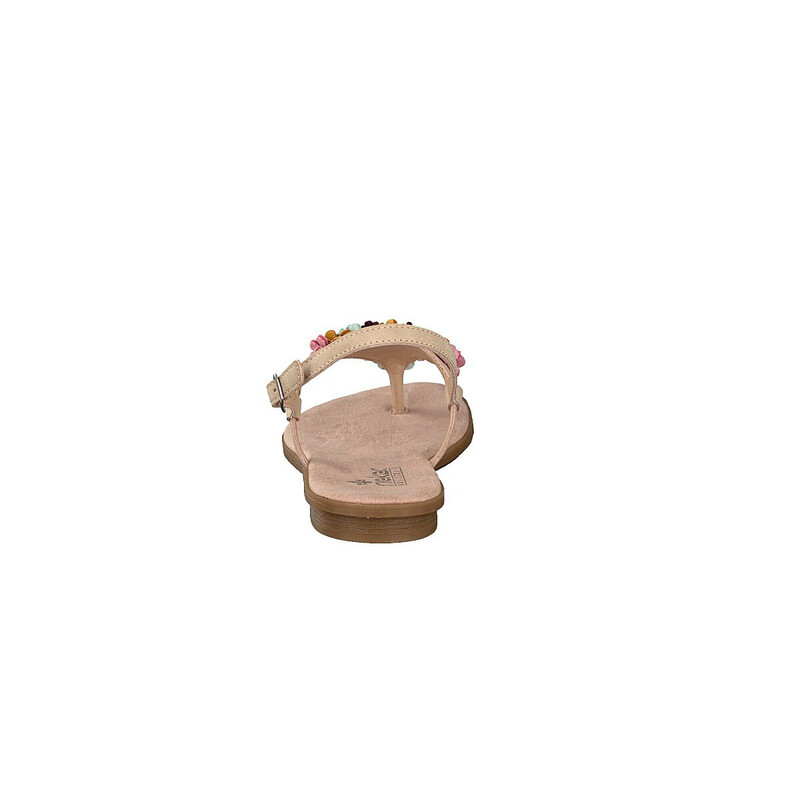 Additionally there is a small elastic band under the buckle, so that you can slip comfortably into the sandal.